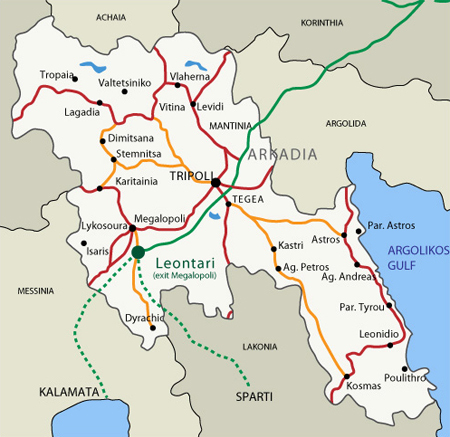 Leontari is on the Megalopoli junction of the newly constructed motorway Korinth - Tripolis – Kalamata – Sparta. When you exit at the junction you follow the signs towards Megalopoli and in 400m you turn right following the signs to Leontari. The distance from Athens is approximately 1 hour and 50’.